Do you miss the days when you would stand at the sink after dinner with your hands plunged into grey, dirty water, laboriously scrubbing every individual cup, plate and spoon? Thought not! In the past 50 years, dishwashers have made our lives considerably easier and have become a relatively common kitchen appliance around the world. However, the huge number of appliances and brands to choose from can make for a confusing shopping experience. Which dishwasher is the best choice for you? Read on to find out. What should I look for when buying a new dishwasher? When quoting a dishwasher’s capacity, most manufacturers will describe it in terms of the number of place settings a dishwasher can accommodate. One place setting refers to the standard amount of crockery and cutlery that would be used by one person during a three-course meal. This usually consists of one small and one large plate, a bowl, cup, and the necessary cutlery for said courses. Measuring capacity in this manner is much less confusing and ambiguous than measuring it in terms of individual items, although a dishwasher’s approximate item capacity is often quoted as well. Therefore, we recommend you consider how many people in your home eat during a standard meal – just one, relatively large meal (e.g. dinner and dessert). Perhaps you could purchase for this many place sittings, plus one or two, in case you have company. Once you’ve determined your optimum dishwasher’s capacity, you’ll need to decide which style to purchase. We’ve outlined the most common styles below. Energy and water efficiency: Every dishwasher on sale has a star rating from the Australian Government’s efficiency rating initiatives for both water and energy efficiency. The more stars a product has, the less energy or water it uses. You can compare dishwasher model energy efficiency on the energy ratings website. Flexible shelves and baskets: Do you have lots of different sized pieces of crockery that frequently require reshuffling inside your dishwasher? If so, consider buying a model with several different layout options or removable shelving. Half-load, eco-mode and other wash cycles: If your dishwashing needs vary each wash, consider buying a dishwasher that has different cycles that you can set for different loads. 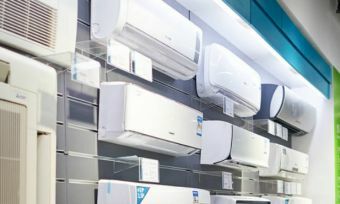 Such features are usually only available on more expensive models, but by using less energy and water they can save you a significant amount of money over the long term, as well as reduce your environmental impact. Delayed start: Some dishwashers have a delayed start function whereby you can set it to begin a cycle at a specific time – such as in the middle of the night when electricity rates are cheaper, or while you’re out at work so as not to disturb anyone. Noise levels: If you live in an apartment or a high-density living space, or if you simply don’t like being disturbed, make sure you check the noise levels of your dishwasher before you buy it. Some models record this in the product description. Failing that, search online for customer feedback. Standard size dishwashers are the most common type – when you think of a dishwasher, this is the one you picture. They have the greatest capacity of any domestic dishwasher type, fitting about 14 place settings, and are also the most water and energy efficient dishwashers on the market. On the flipside, they’re also the most expensive and take up the most space. The standard size of these dishwashers is about 600mm wide, 820mm high and 600mm deep. If there is a dedicated space for a dishwasher in your kitchen, it probably has similar dimensions and has been designed for a full-size dishwasher. Who should choose this type of dishwasher? Full-size dishwashers are perfect for households with four or more people (i.e. families or shared houses with several occupants). A full-size dishwasher’s large capacity and efficient power and water usage makes it the ideal choice for people who do large dish-washing loads. These dishwashers are essentially narrow versions of standard dishwashers. They usually measure about 450mm in width and are designed for homes where space is at a premium. Their reduced width means they can accommodate 9 or 10 place settings, and their smaller size means they cost less than standard dishwashers. A slimline dishwasher is ideal for smaller households and those who do plenty of washing up, but have limited kitchen space to do so. They have a similar capacity to standard dishwashers but come in a significantly smaller package. Compact dishwashers are considerably cheaper than full-size models and take up far less space. They are usually half the height of a standard dishwasher, standing at about 410mm. However, they have similar width and depth. They also have the same single fold-out front door as their larger dishwasher counterparts. Their small size means they can load around 6 place settings and can often be found at the cheap end of the market. Many compact dishwasher models don’t require permanent installation like their bigger counterparts – some can be placed on a countertop and connected to your kitchen tap via a built-in hose. DishDrawer is a model of compact dishwasher unique to Fisher & Paykel and consists of a “drawer” (rather than the common front-door arrangement) that slides outwards for more ergonomic loading. They are the same height as most other compact dishwashers and can come in one or two-drawer models. They do not come in a free-standing variety. Compact dishwashers are ideal for people who do small, frequent washing loads, or someone looking for a cheap dishwasher without too many bells and whistles. They are great for people with little kitchen space or renters who don’t want to permanently install a dishwasher in their current home. They are also ideal for small households or offices that require smaller, frequent washing loads. Once you’ve figured out which type of dishwasher you want to buy, it’s good to have a range of brands to look at to further hone in your research. The following brands were leaders in our 2016 Customer Satisfaction Ratings. Miele earned five stars overall and dominated the rankings, while Bosch and Fisher & Paykel earned four stars each. Chances are you know of these three market leaders already, but it doesn’t hurt to see what they offer in dishwasher land. This is a great option for those who like the flexibility of putting their dishwasher wherever they like. Miele has rated this model at 11.5L per wash, which gives it a five-star WELS water efficiency rating. With 14 place settings, it’s a versatile unit that is suited for families. It also comes with comfort-close, which is a nice little touch that won’t rattle and break your plates if you close the door in a flurry. At a touch under $1,300, it’s one of Miele’s cheaper units, but overall it’s at the higher end of the dishwasher market. If you’re set on the position of a dishwasher in your home, then a fully integrated unit may be a more viable option. Here Miele offers another 60cm unit, but with slightly differing features. With a five-star WELS water rating, it uses just 11.3L per wash. Furthermore, it features 13 wash programs, controllable with sensor-touch controls. At $1,599, it’s a higher-end unit but its features are nifty and desirable to many households. At the top-end of Miele’s dishwasher range lays this beauty. Like the model above, it’s a fully-integrated unit, 60cm in size. It has a class-leading 5.5-star WELS water efficiency rating, and a 3.5-star energy rating. It features 13 wash programs with sensor-touch controls. At a touch under $4,000, you’re probably wondering where your money goes. With Miele, its German-made products are frequently class-leading – as our Customer Satisfaction Ratings suggest – and you are paying for ensured quality, two-year warranty and Miele’s classic ingenuity. If well over $1,000 for a new dishwasher makes you feel like you’re being “taken to the cleaners”, then you might like the sound of Bosch. Like Miele, it’s another German giant of appliance manufacturing. Bosch makes an incredibly large range of appliances and tools, not to mention automotive replacement parts. From an alternator to a dishwasher, Bosch has you covered. Have a look at some of the range below. This flexible beauty is ideal for a family, with 14 place settings. It’s 600mm in width and boasts a four-star WELS water rating. The unit will use 13.5L per wash. It features five wash programs for all kinds of dishwashing needs. With a 3.5-star energy rating and two-year warranty, you can be assured peace of mind that you won’t be left paying an arm and leg for replacement parts. At $659, it sits at a lot more of a palatable price than many of Miele’s offerings. If you’re not really in the mood to be dilly-dallying about and trying to figure out where your family-sized dishwasher will go in your studio apartment, then have you considered a slimline dishwasher? This Bosch dishwasher measures only 45cm across. It features 10 place settings and is suitable for smaller families or 2-4 people. It’s rated for 11.6L per cycle, which gives it a 3.5-star WELS water rating. It boasts six different programs and an eco-mode function. At a touch under $950, it is a higher-end Bosch unit, but great for smaller homes or for the small household size. If a family-sized dishwasher is more your thing, and you want a more ‘permanent’ solution to your dishwasher needs, then this build-under dishwasher may be for you. It features 14 place settings and has a five-star WELS water rating. This uses 11L per wash, which is outstanding. At 598mm in width, it’s a sizeable unit fit for the family. It is designed to sit under your kitchen bench and also features a child lock – perfect for curious little fingers! At $1,199, it’s at the high-end of Bosch dishwashers, but if your budget extends this far then we suspect this will be a viable option. A brand from our Kiwi neighbours across the ditch, Fisher & Paykel has long been known for its innovative designs in a variety of household appliances. It started off with fridges, but now makes many appliances – dishwashers included. Let’s have a look at some of the dishwasher range below. Fisher & Paykel competes remarkably well against the German giants mentioned already. This dishwasher features 14 place settings and boasts a five-star WELS water efficiency rating. This means it uses 11.4L per wash. It’s a family-friendly unit, at 595mm in width, and you have the flexibility over where to place it. You have six wash programs to select from and a height-adjustable top basket so your back won’t take a beating when it’s time to stack the plates and cutlery. At $699, it’s one of the cheapest in Fisher & Paykel’s line-up. If one big door and some finicky racks don’t suit your fancy, you may like the look of this double-drawer unit more. At around $1,400, it’s a mid-high end appliance, but with the added convenience of drawers. Each drawer contains seven place settings. For added convenience, you can use one drawer at a time, which can save water if your load size doesn’t warrant a full cycle. It has a 4.5-star WELS water rating and uses 6.7L per cycle, per drawer. The whole unit features nine different wash programs, which is handy for nailing down the cycle you want. If the name is a bit of a mouthful, then the price may also make you stutter. At about $1,900, this unit is at the high-end of Fisher & Paykel’s dishwasher range. Like the unit before it, this one features the handy prospect of drawers, which can be operated independently. Each drawer has seven place settings and the overall unit boasts a 4.5-star WELS water rating. In a piano black finish, this appliance will fit right in to most new and sleek kitchens. It features nine wash programs and Fisher & Paykel claims you can fit dishes up to 29cm in width. How do I install a dishwasher? You’ve nailed down what type of dishwasher you want – maybe you even have a brand in mind. After this, there are a few things you’ll need to consider before you part with your money and drag a new dishwasher into your home. Location, location, location – your dishwasher needs to be attached to a water source in order to work, so think about the nearest water supply when choosing its position, and make sure pipes and fittings will be able to reach it safely and inconspicuously. Measure up – choose the exact space you’d like your machine to sit, and make sure the measurements for the model you prefer match up. Organise skilled help – if you’re not a plumber yourself, make sure either a professional or someone with a pretty good idea what they’re doing is lined up to come around and help you install it. If you’re a one-screwdriver kind of home-owner, chances are you could do with a hand. Having considered all the options and purchased your machine, you’ll now need to install it in your kitchen. In addition to making sure there’s adequate space, there are three different connections that need to be set up: the power supply, the washing water supply and the waste water drainage. With a countertop dishwasher, this process is as simple as plugging it in to the wall, connecting it to your kitchen tap and letting it drain into the sink. If you’re installing a built-in dishwasher, however, you have two options: either do it yourself, or get a plumber to install your dishwasher for you. If you’re perfectly comfortable with the installation process, and the necessary taps are already plumbed into the wall, go for it. If that’s not the case, it’s best to leave it to a professional. Most plumbers offer dishwasher installation services and while paying someone to install your appliance can be a little pricey, it also ensures the job is done quickly and without any hassle. There are four different types of dishwasher installations. Essentially, the units operate in a similar manner but are installed differently, depending on your wants and needs. These dishwashers are able to be moved around as you see fit, provided there is proper water supply, drainage and power. Is this ideal for most homes? Maybe not, given that plumbing is usually confined to a single location in your kitchen. However, these units are easier to move, which might be preferable for you if you’re planning to move in the near future. Built-in dishwashers are those that have been installed in a certain place, usually a specifically designed spot under a kitchen bench. The unit itself is very similar to the equivalent free-standing one, but it cannot be moved due to the permanently installed plumbing and power supply. A built-in dishwasher is the most commonly installed kind. Semi-integrated dishwashers are built-in units that have most of their front door covered by similar paneling to the rest of the kitchen, usually for aesthetic reasons. The dishwasher’s controls remain exposed at the top of the door. Generally speaking, these are more expensive to install than built-in units. Fully integrated dishwashers have their front doors completely covered by a kitchen panel so as to appear just like another cupboard. Their controls are located on the top inside edge of the door. Due to the greater complexity of installing these units, and designing them to fit with the aesthetic of your kitchen’s design, they are usually the most expensive to install. These three key points should help determine what dishwasher is right for you and your household. The best dishwasher is the one that’s right for you, and luckily there are a lot of high-quality brands out there that may offer what you need. Should You Repair or Replace Your Dishwasher?